Sandyford Village. 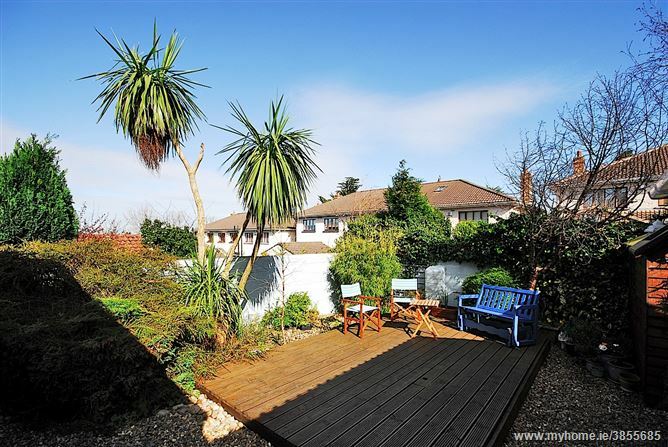 It has easy access to the M50 and Dublin Airport while the city centre can be accessed by frequent Dublin Bus services or by the enviable LUAS connection at near by Glencairn station. 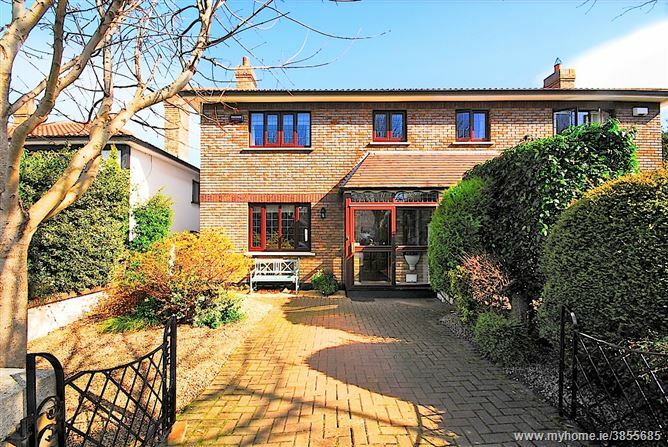 There are numerous, quality primary and secondary schools in the locality, Dundrum Town Centre is close by as are many other valuable amenities including Fernhill Gardens, Marlay Park, Kilmacud Sports Grounds, Stackstown Golf Course and Leopardstown Race Course. 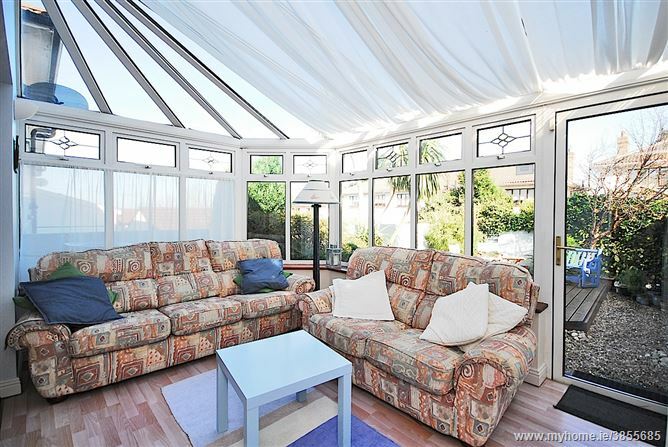 timber floor, a feature fireplace and double doors to the dining room which has a timber floor and sliding glass doorsto the conservatory. There is a modern kitchen with ample units, black marble worktop and a large breakfast bar, all complimented by a utlity and a storage room. 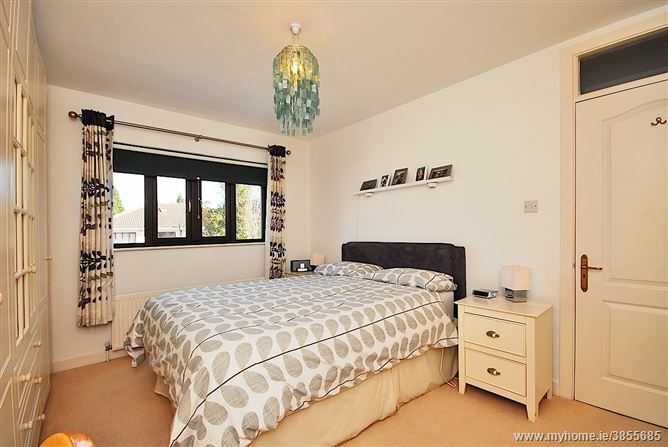 On the first floor there are four bedrooms, one en-suite, a family bathroom and a hot press. The attic is partially floored and has electric light. 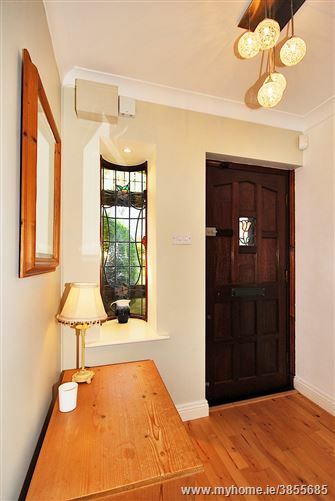 Entrance Hall: 5.32m x 1.93m Hardwood floor and understairs guest w.c. 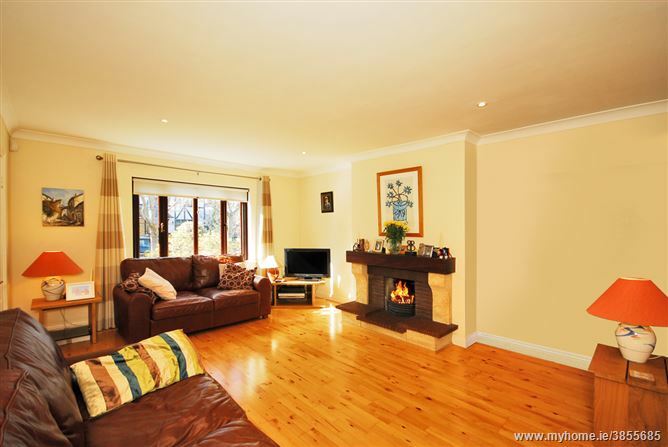 Living Room: 5.32m x 4.01m Hardwood floor, a gas fireplace and double doors to the dining room. 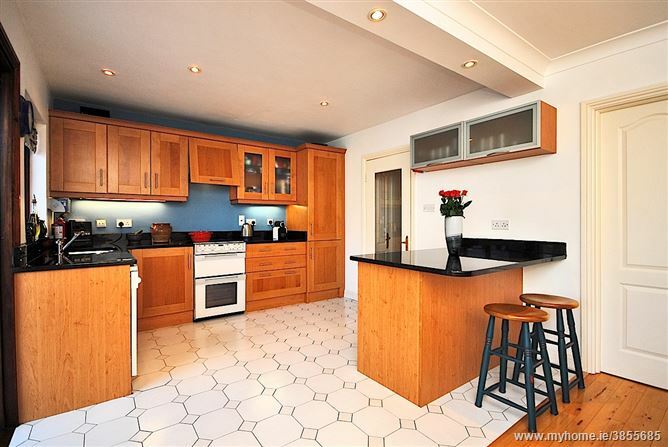 Kitchen: 3.46m x 3.30m Modern kitchen with integrated appliances and ample wall/floor units. 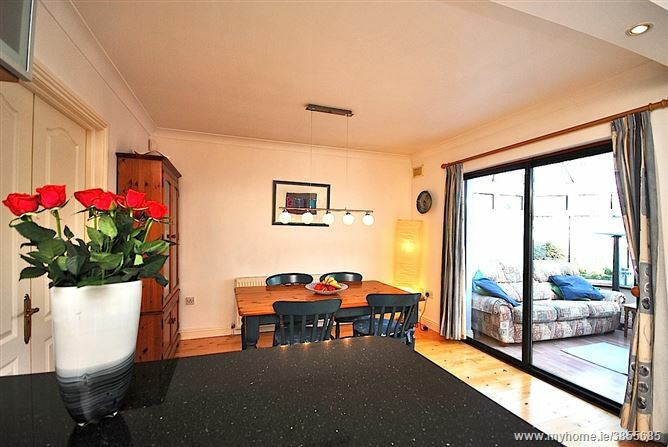 Dining Area: 3.46m x 2.74m Timber floor and sliding glass doors to the conservatory. 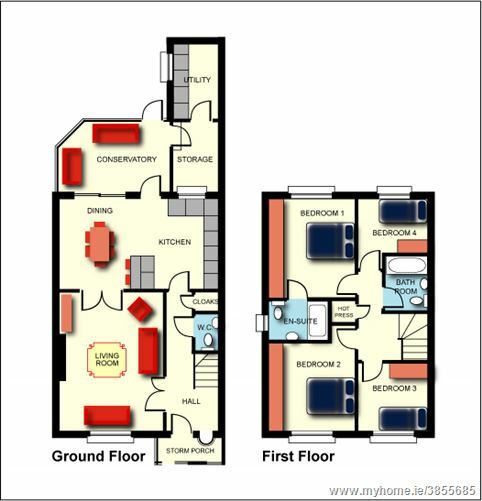 Utlity Room: 2.80m x 1.70m Floor 􀆟les and floor units. Storage: 2.73m x 1.70m Tiled floor. with underfloor hea􀆟ng and a heated mirror. 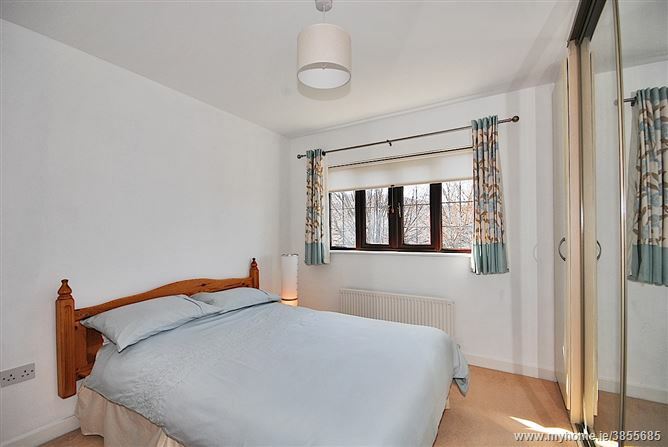 Bedroom 2: 3.38m x 3.29m Double bedroom with a built in wardrobe. 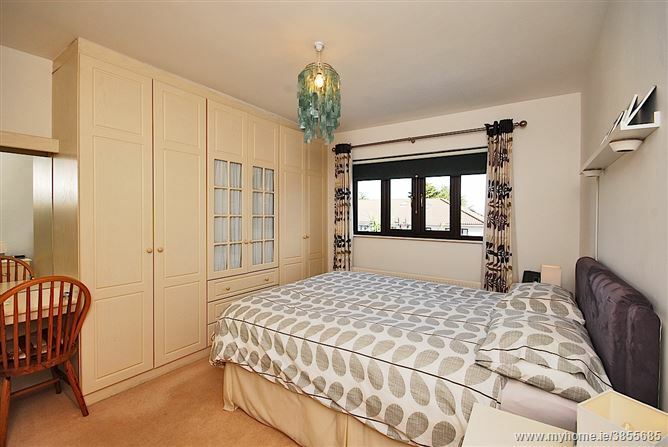 Bedroom 3: 2.75m x 2.60m With a built-in wardrobe. 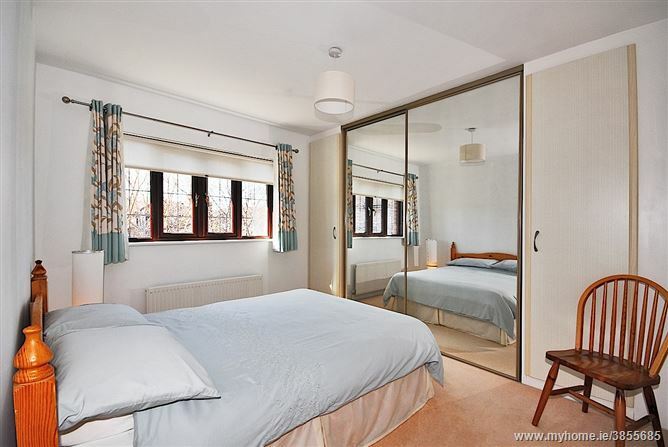 Bedroom 4: 2.71m x 2.04m A single bedroom with a built in wardrobe. 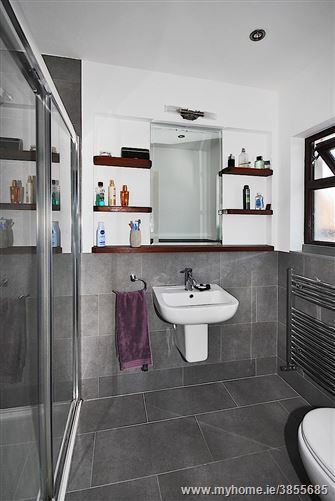 Bathroom: 2.10m x 1.69m With partially tiled walls, floor carpet, a bath, w.h.b. & w.c.
the sunny rear garden which is walled, has a large decked area and a timber built storage shed.